Are you confused about who owns the licenses of the photographs that you’ve just paid for? Or, do you know exactly what you can and can’t do with those photographs? Watch this great video by experienced real estate photographer, Jordan Powers, who explains photography licensing in layman’s terms. ﻿ Video Transcript: “Today I want to talk about the most exciting subject in all of photography – licensing! I’ve studied photography since 2005 when I first started out as a professional photographer and I have a pretty solid understanding of how licensing works. And I thought you all might be interested in hearing this information. Full disclosure I’m not an attorney. This isn’t legal advice. This is really just a very paraphrased explanation of how I’ve come to understand it over the years and U.S. copyright law is pretty complicated. But, as it relates to photography what it says is that basically states that somebody who takes a photo that person is the exclusive owner of that photo immediately. They own the copyright, they have the right to reproduce and is distribute that photograph however they want and they can display it however they want as well. 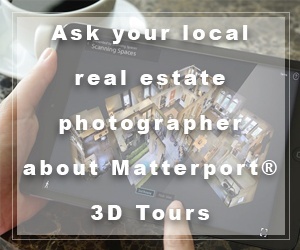 Now to avoid copyright infringement the way you would allow people to use your photos for commercial purposes such as a real estate listing is through licensing. Now this all gets pretty complicated and I’m going to start off by using an analogy like music. It translates pretty well. So now when you purchase a song on iTunes for 99 cents you’re not buying that song. You don’t own the song, you’re buying a license to download and use that song for personal use. When I make a video for real estate I have to license that song each time and there is going to be a fee associated with that each time that I pay for it. If you want to use an extreme example that everyone is familiar with. If you’re a car company and you want to use 30 seconds of that song ‘Like a Rock’ to sell your trucks, you have to license that 30 seconds of that song for that specific use and at that point you’re talking hundreds of thousands of dollars in licensing fees. Basically the same principles apply to talk about photography. If you hire a photographer to photograph your family for example you’re gonna pay a relatively low fee like 100 to 500 dollars depending where you’re at. Just to be able to hang those photos in your home or share them on social media but you wouldn’t be able take those photos and sell them to a company like Starbucks for example for an ad campaign. They’d actually need to license those photos from the photographer and of course the photographer would have to get your written consent. But legally the photographer owns a copyright not the family. 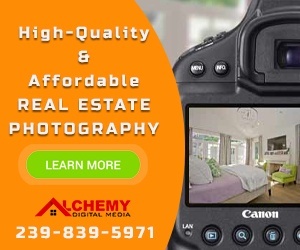 When it comes to real estate photography it’s very similar and it really all boils down to the amount of images and the use or distribution and ultimately the value of those images or the potential return on investment of those images. Now on the higher end you have commercial marketing campaigns for larger brands where the images are going to be used for magazines large print, etc. Typically those shoots are thousands to tens of thousands of dollars depending on the photographer and the distribution in most cases you’re looking at tens or hundreds of thousands, if not millions for the return on investment of those images. Which is why there’s a higher rate for photographers and their shoot being their licensing. Now if we go down a notch to say a residential designer or a builder or an architect the licensing fees associated with that are often determined by the amount of images and their use. Typically only a handful of images might be needed. And it’s going to be for social media, web site and possibly some print ads. Most designers are national, so you’re likely not going to be dealing with a national campaign, meaning that the distribution and the eyeballs on that are going to be very limited. And the licensing tends to be on a per image basis, plus the shoot. Now an average designed shoot can range anywhere from a few hundred to a few thousand dollars depending on all the variables. Now with these you can expect a long term return on investment of thousands if not tens of thousands from new clientele. Now we have real estate listings. Now these are a very limited use. They’re very limited distribution and there’s a very limited amount of time spent on location and editing for the photographer. So for real estate you’re not…the photographers…the photos aren’t selling the realtor or a service, they’re selling a home and typically the listing agreement only lasts for about six months to a year and then the images really aren’t used again. This is why you can hire a photographer for just a couple hundred dollars you get 25 images on average for a real estate listing. With professional images you’re often going to see thousands of dollars as a return on your investment because of your commissions. Now remember what we’re talking about licensing here, you’re not…I just want to remind you that you’re not paying for the photos themselves you’re paying for the license. Meaning you wouldn’t own the photos you really can’t do what you want with them. You’re licensing the use of the images for the sale of that property. The images can be given to the builder, a designer, property management company. They can’t be sold to another agent to be used if you’re listening expires. All of those things would legally be considered copyright infringement and those images would actually need to be re-licensed through your photographer and there’s typically a cost associated with that. It’s really a standard across the industry and the main reason is because if you’re using a professional photographer’s work to potentially earn thousands of dollars, that photographer should be compensated for that.